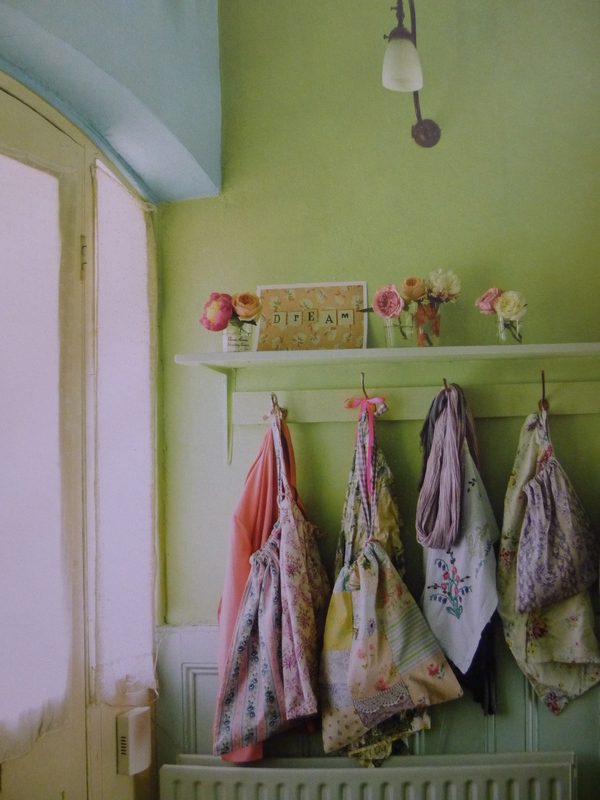 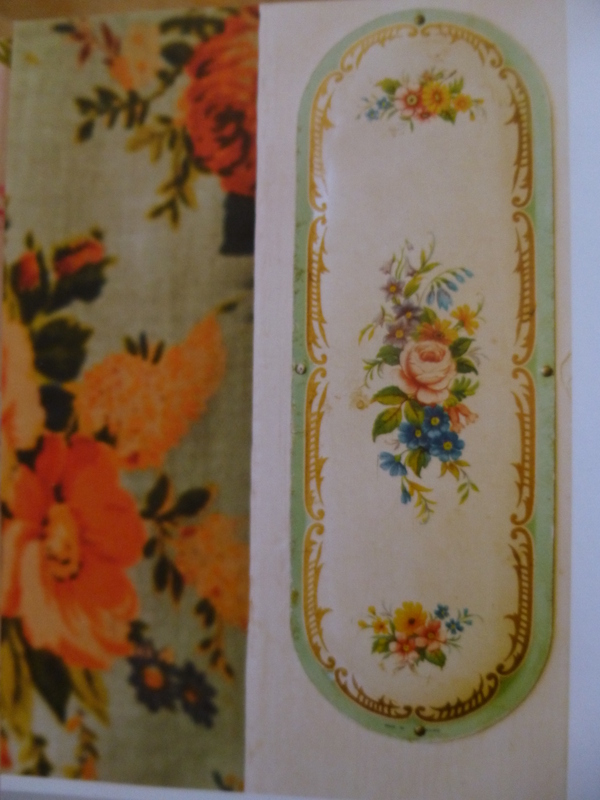 Vintage fabric mini garland in my shop. 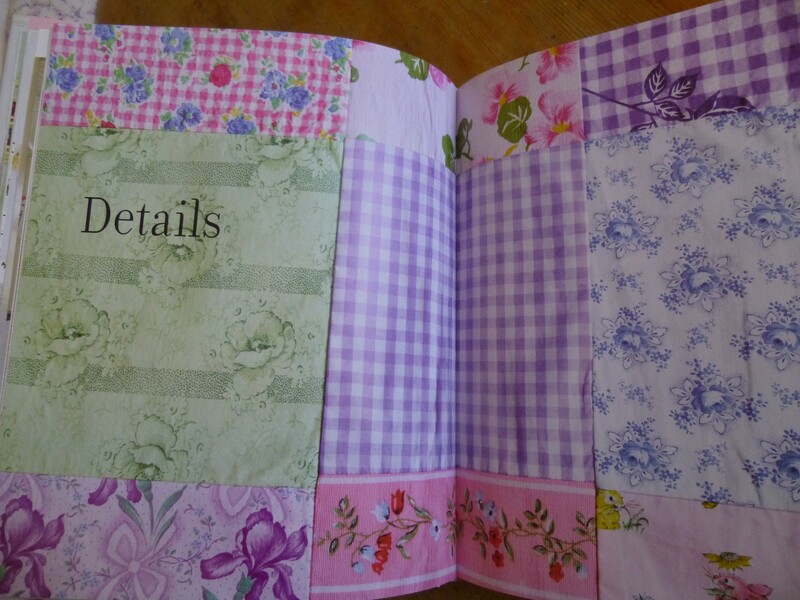 I love making these so much as every piece is different and beautiful. 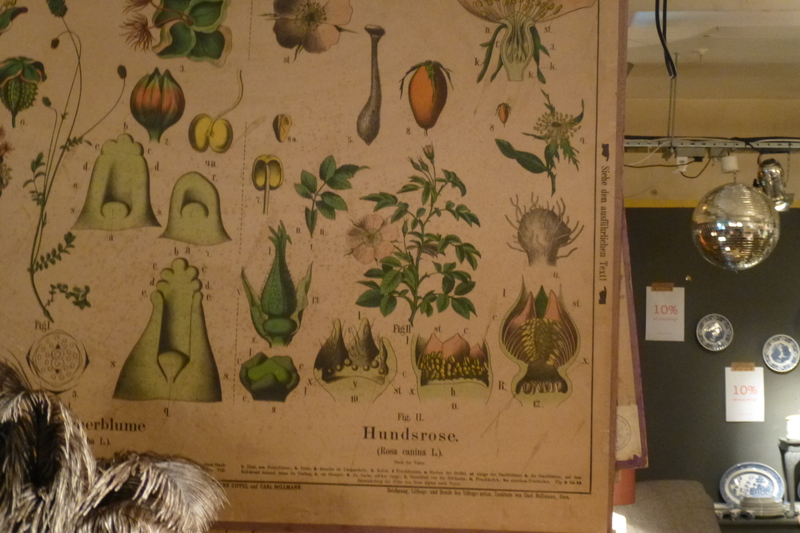 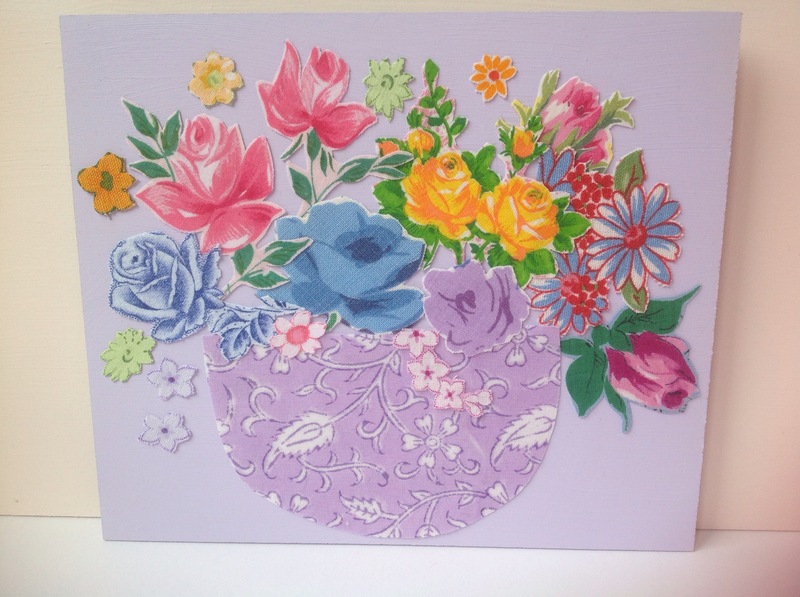 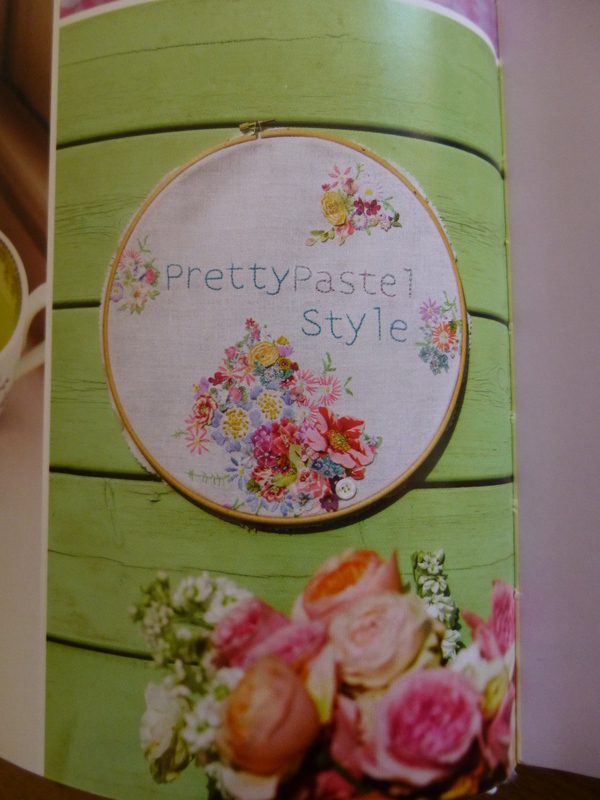 There is old embroidery of hyacinths and patchwork in this one and I’ve cut out some flowers too. 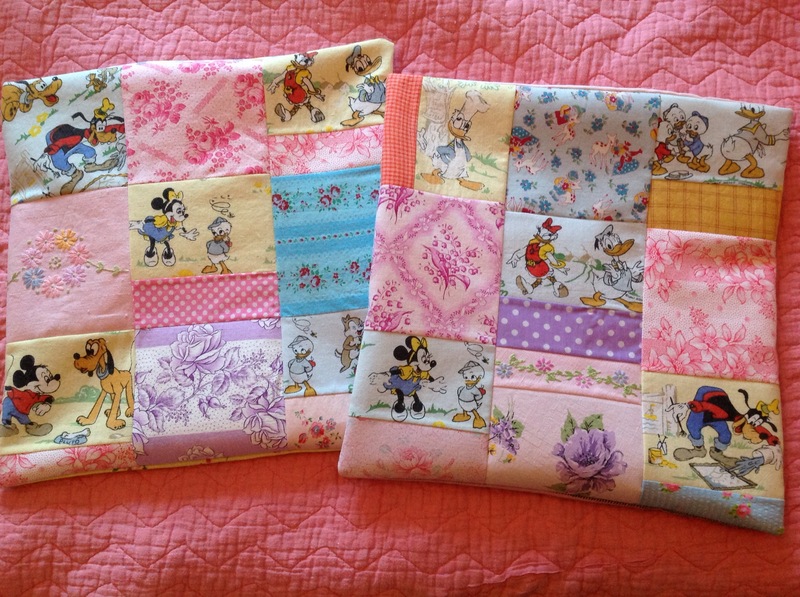 Patchwork vintage fabric cushion covers with old Disney characters, embroidery and florals. 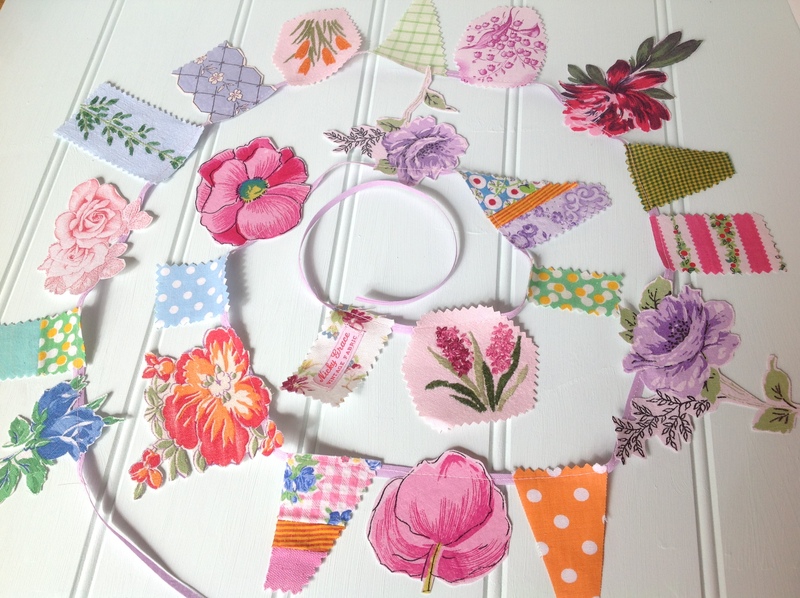 One of my cut flower collages which I make using vintage floral fabric. 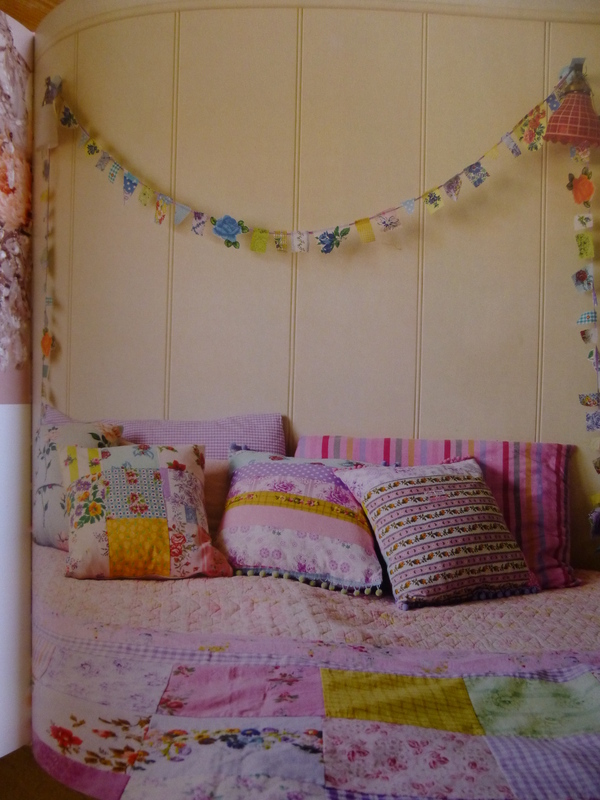 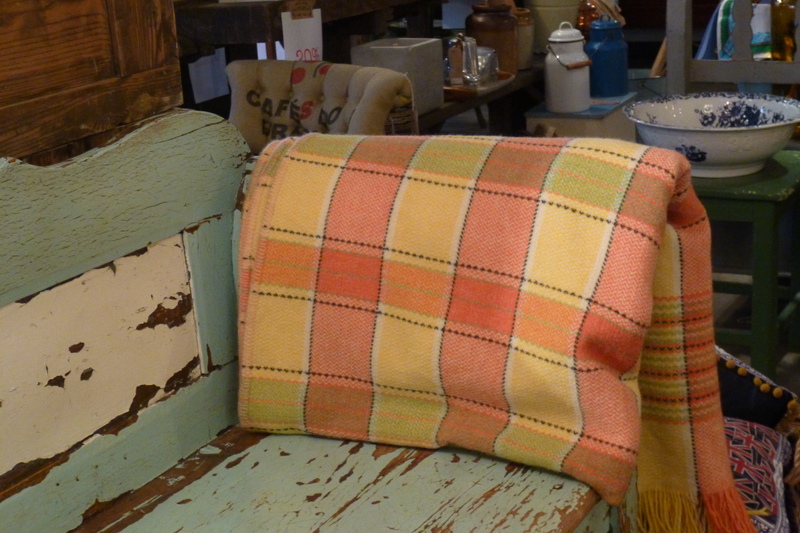 Vintage fabric patchwork throw. 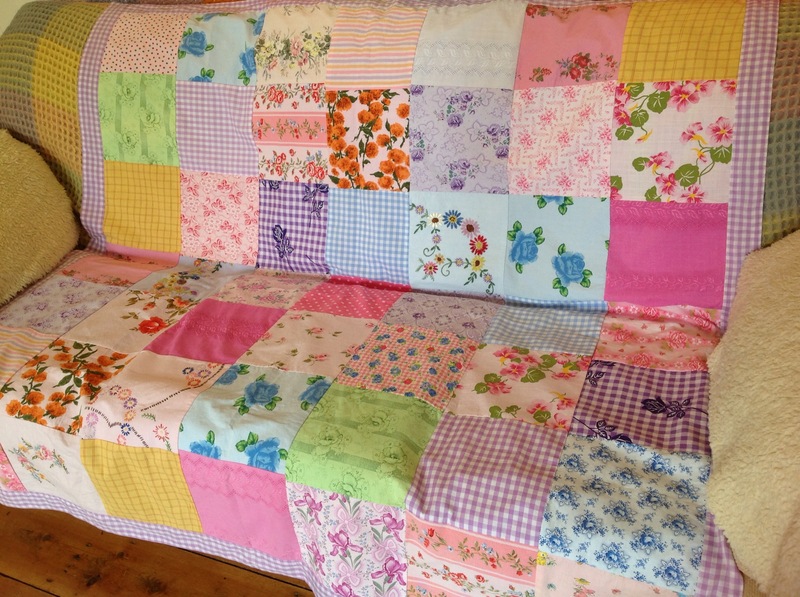 Lovely over a settee or bed. 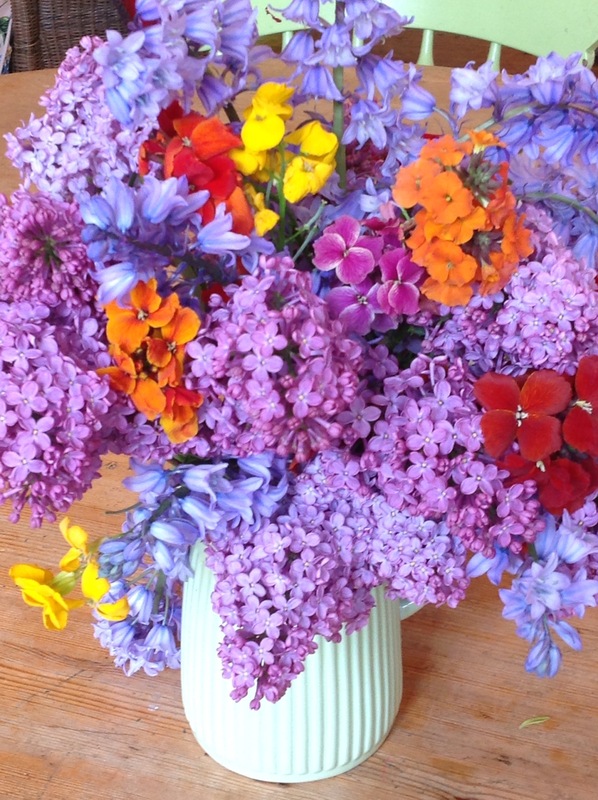 Flowers from my garden a couple of weeks ago. 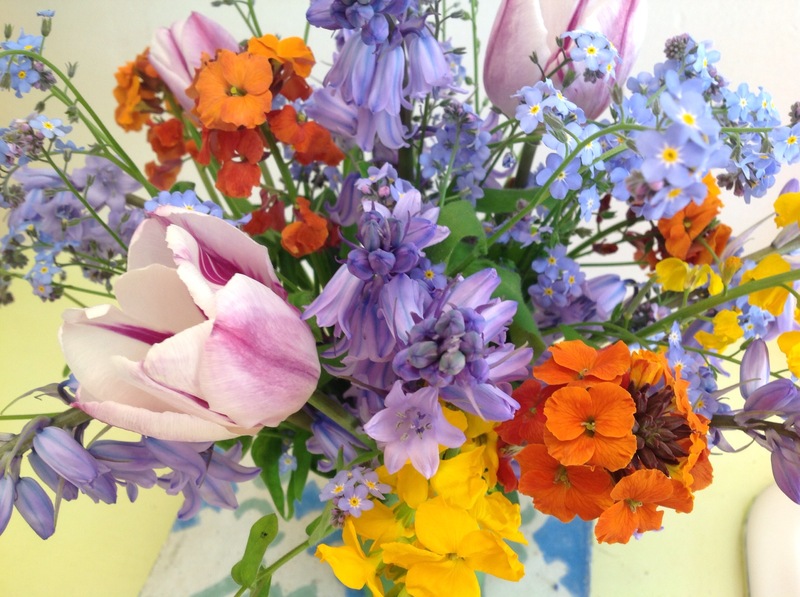 Tulips, wall flowers, bluebells and forget me nots in a tiny little glass. 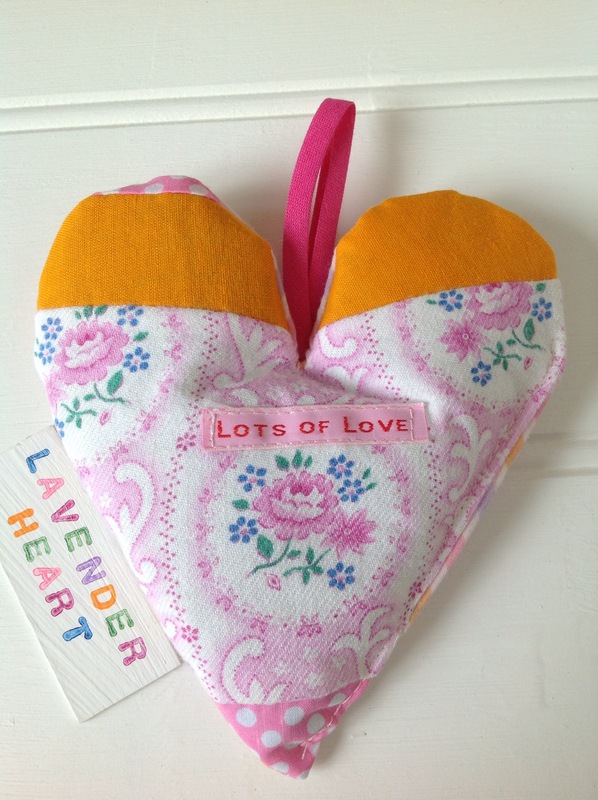 One of my vintage fabric lavender hearts. 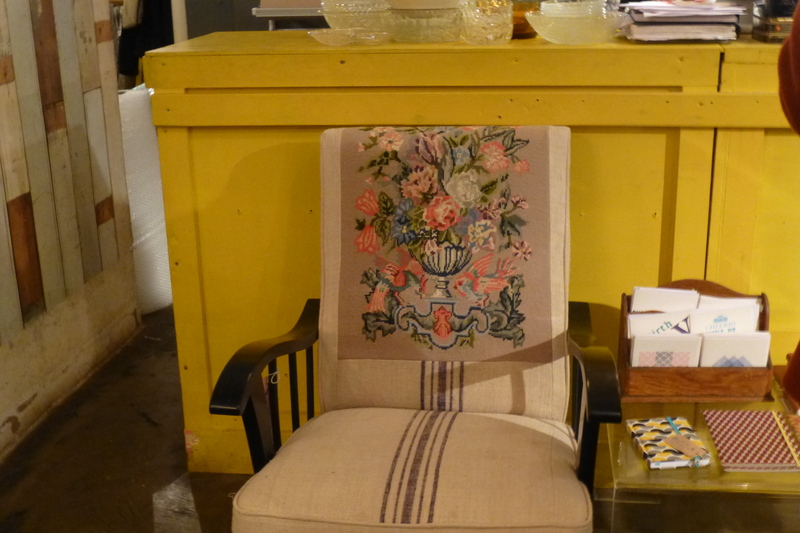 This floral fabric was made in the thirties. 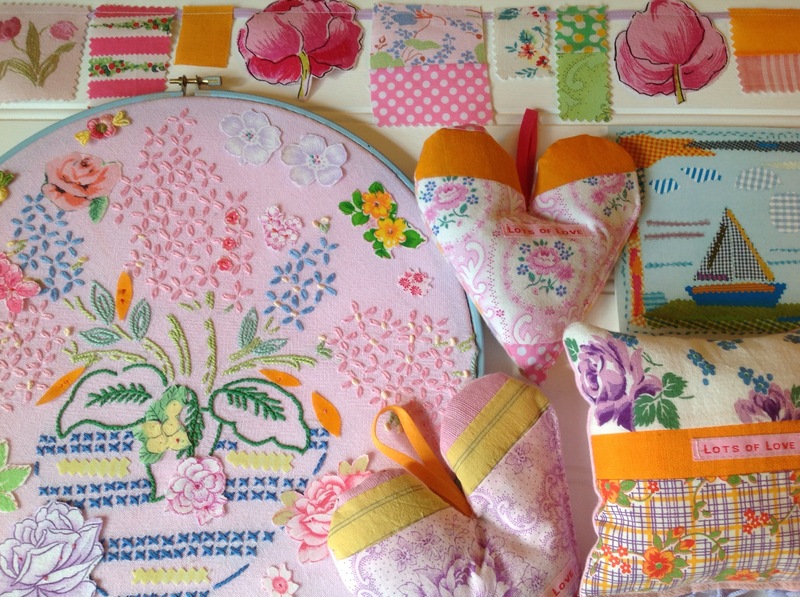 A small selection from my little on line shop. 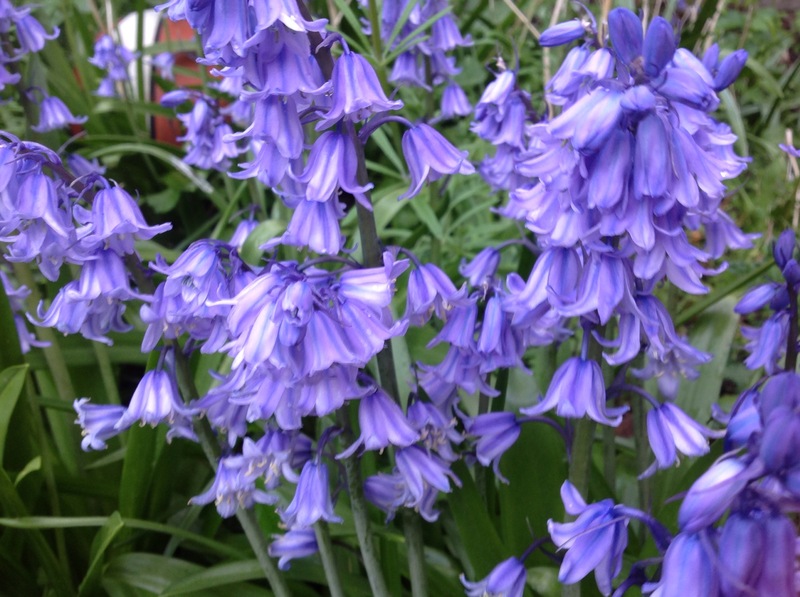 The bluebells in my garden were extra blue and lasted a long time this year due to the cool damp May/June. 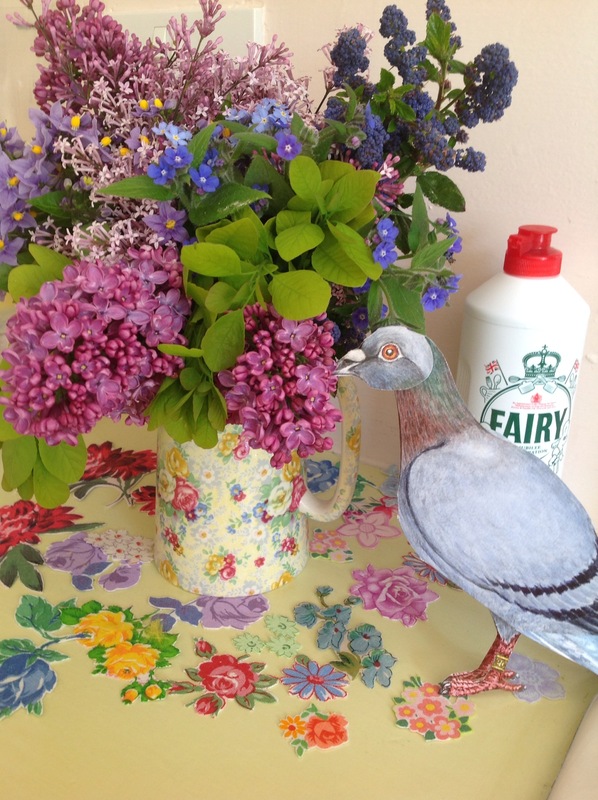 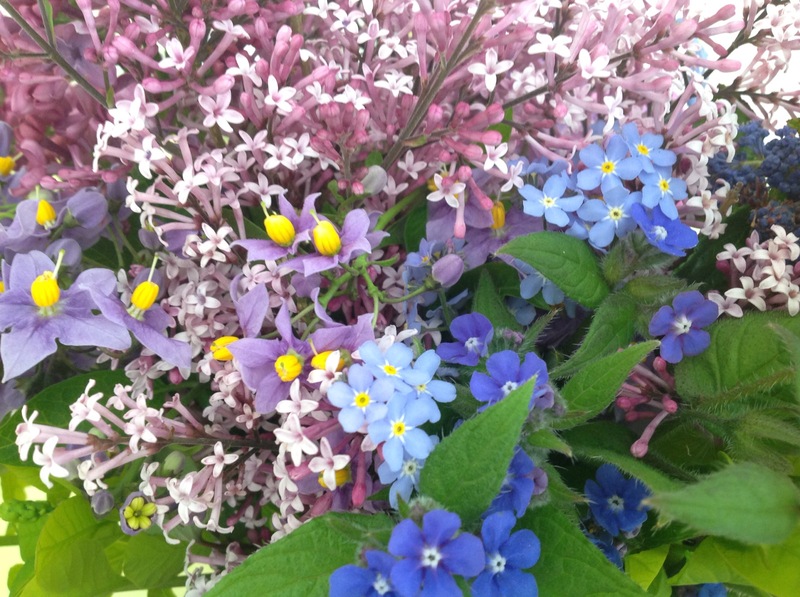 Lilac, borage, ceanothus, forget me nots, fairy washing up liquid, my lovely pigeon card and cut out vintage fabric flowers. 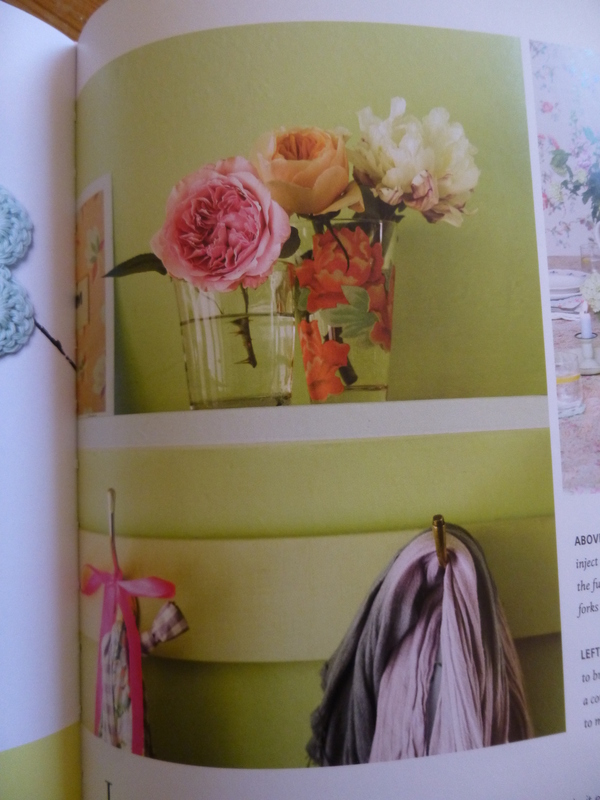 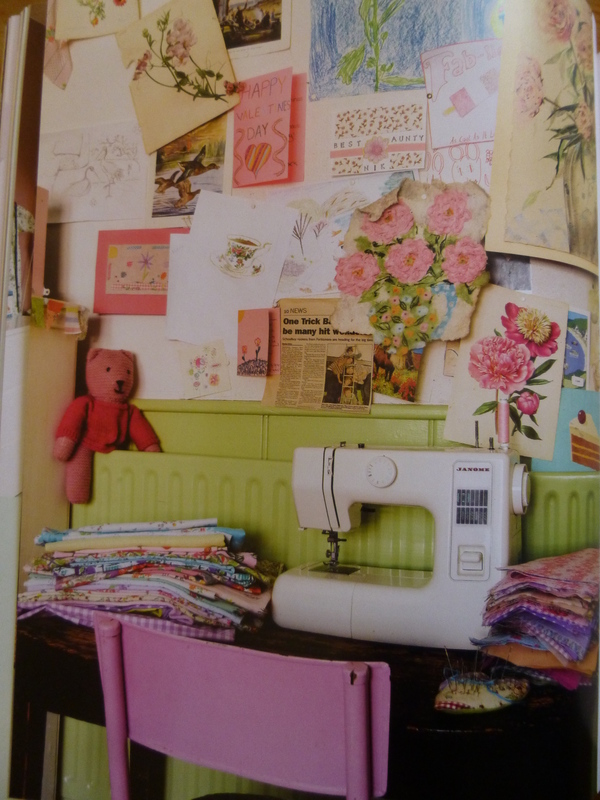 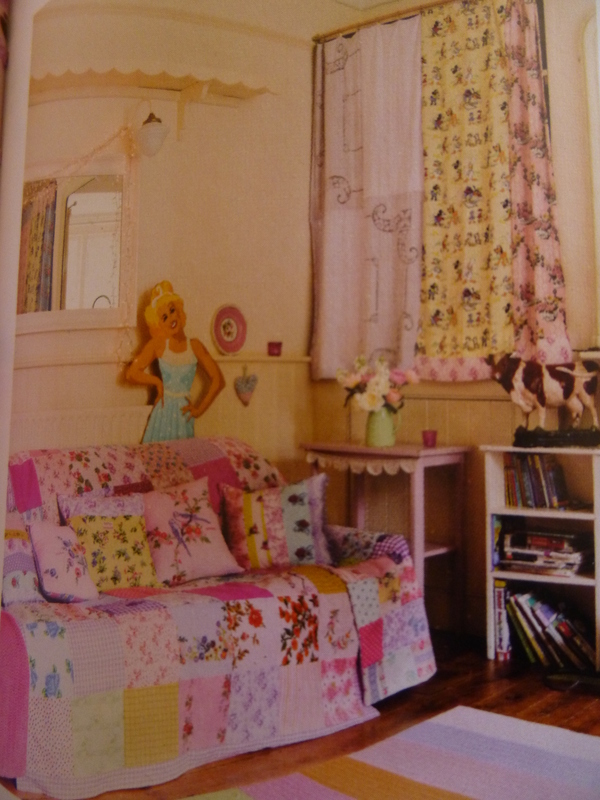 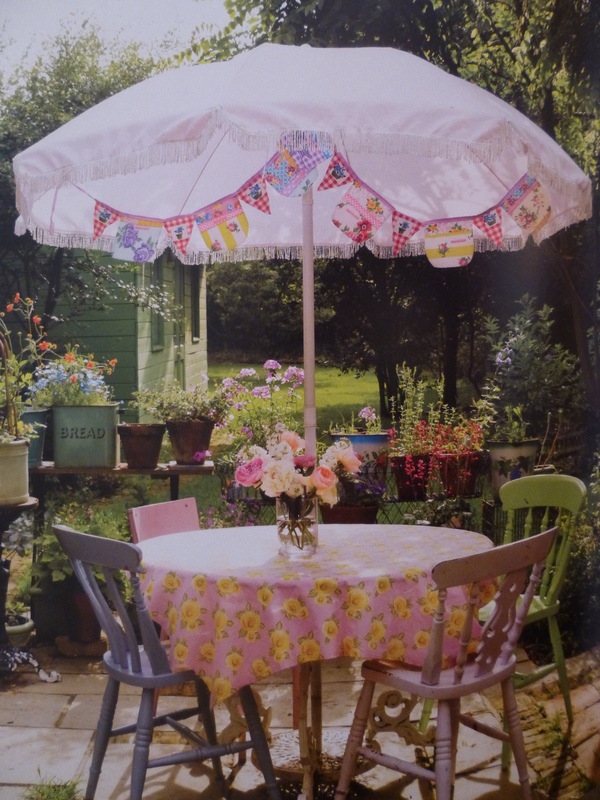 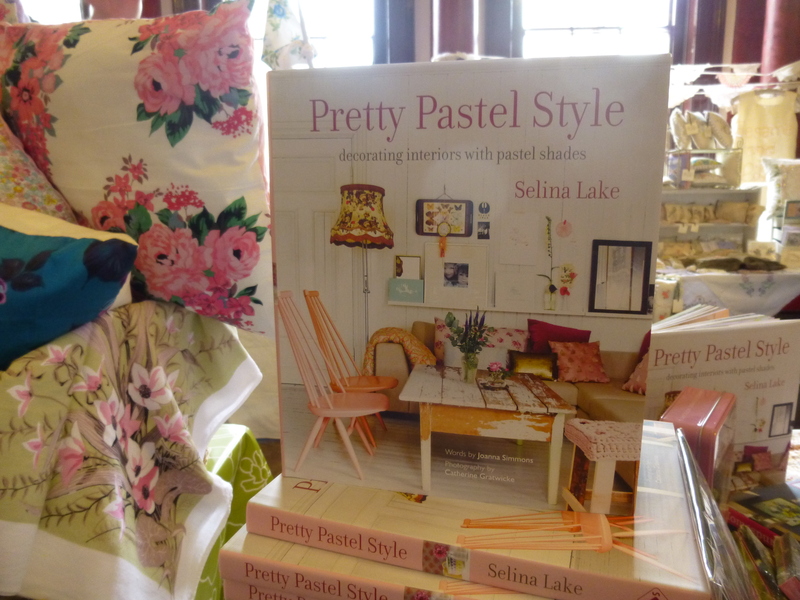 I received my copy of Selina’s brand new book a couple of weeks ago and was completely overwhelmed to find so many pics of my house in it. 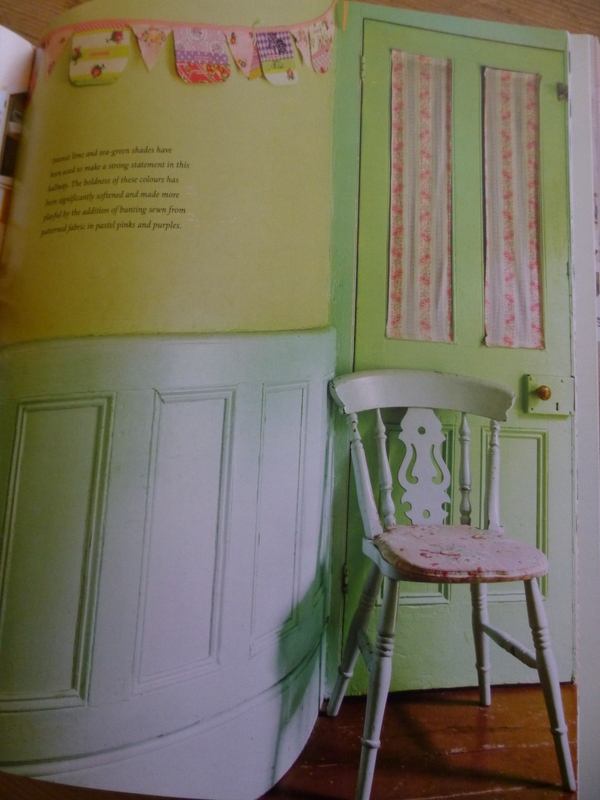 I’ve taken photos of the pages and I’m not going to write anything with them because that would make me feel silly, like when an estate agent shows you round a house saying “this is the kitchen, this is the lounge” and you just want to ask him to please go away so you can look round in peace. 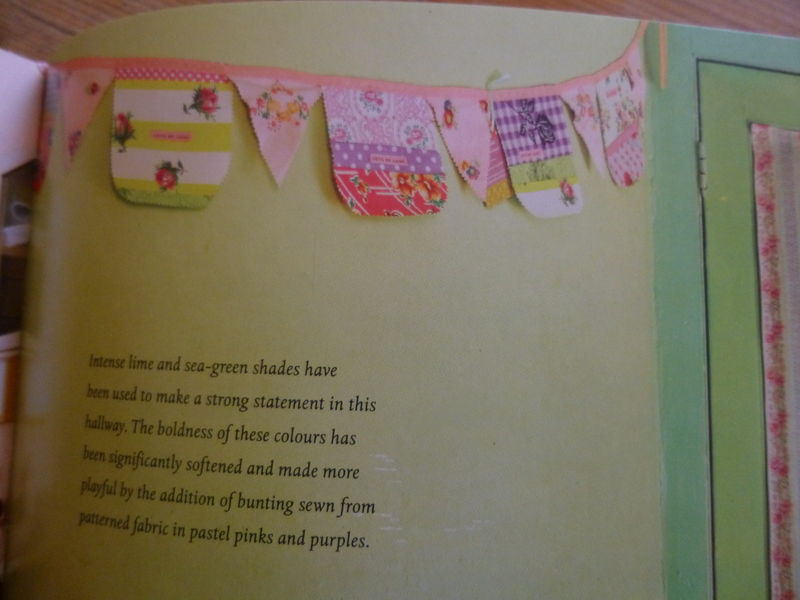 The photographer is Catherine Gratwicke and the words are by Joanna Simmons. 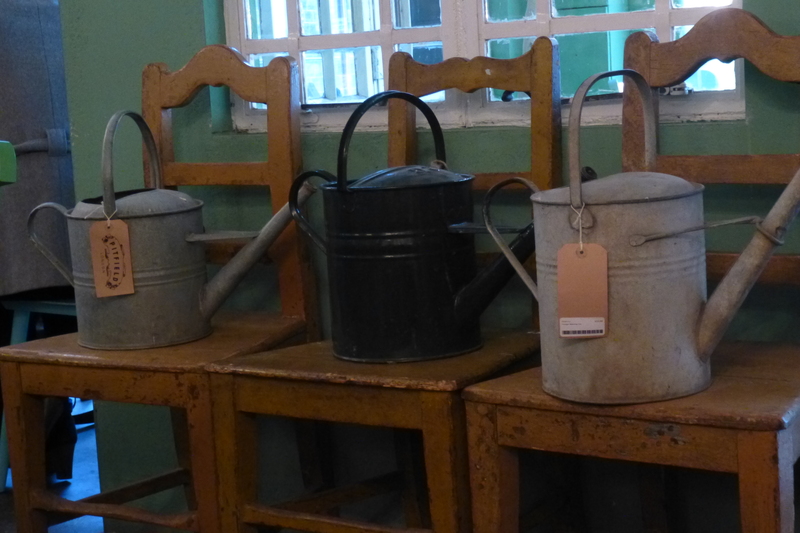 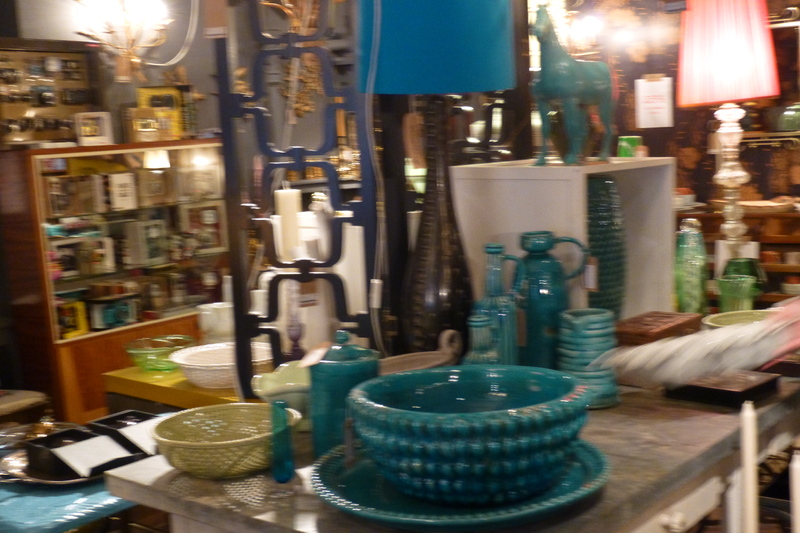 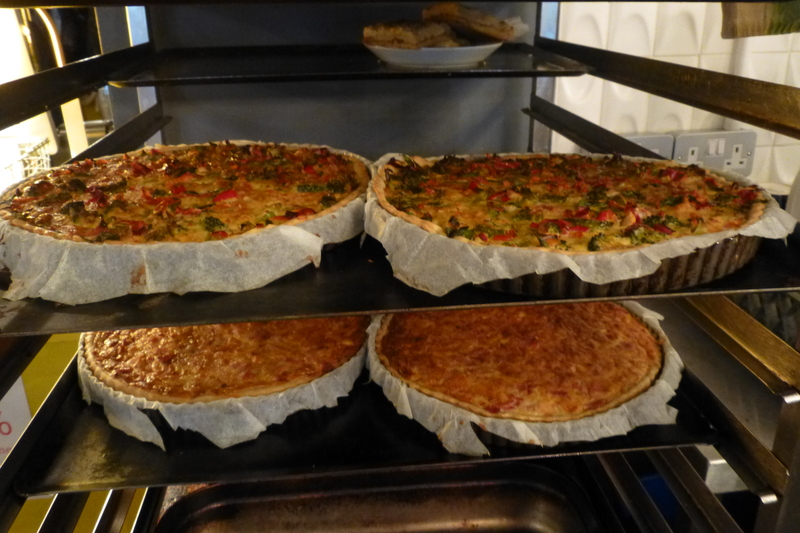 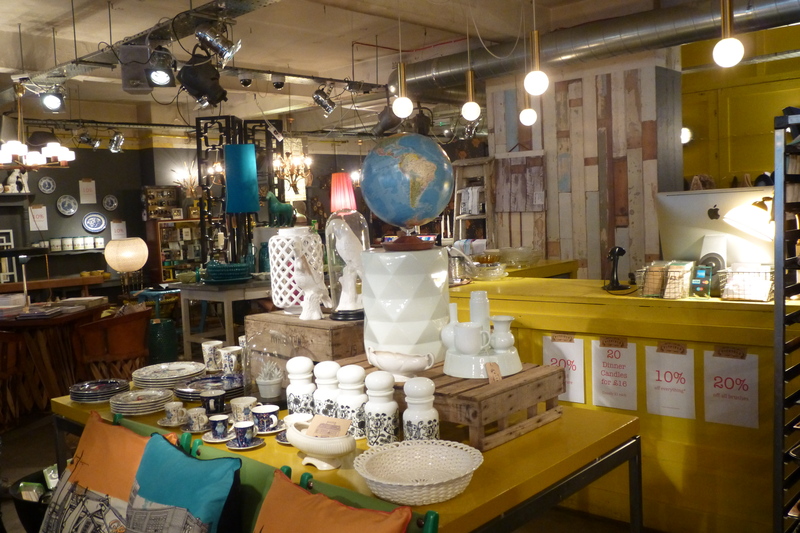 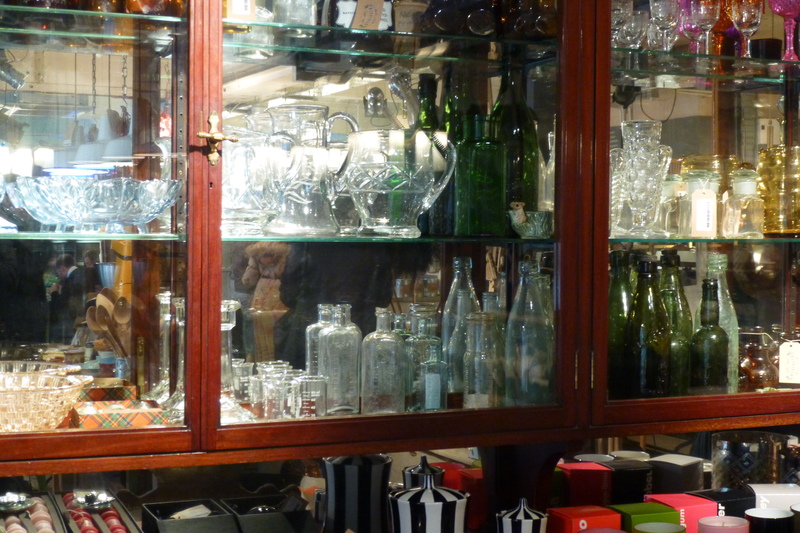 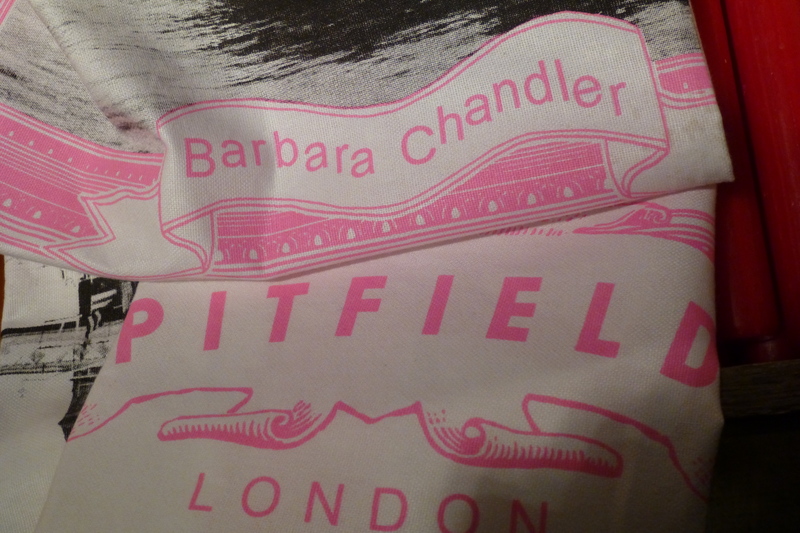 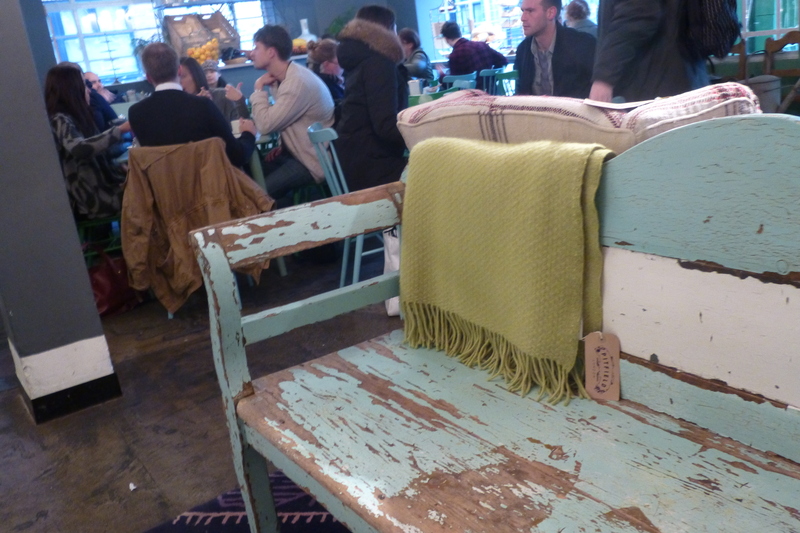 Last weekend I went with a friend to Pitfield Cafe and shop in Shoreditch. 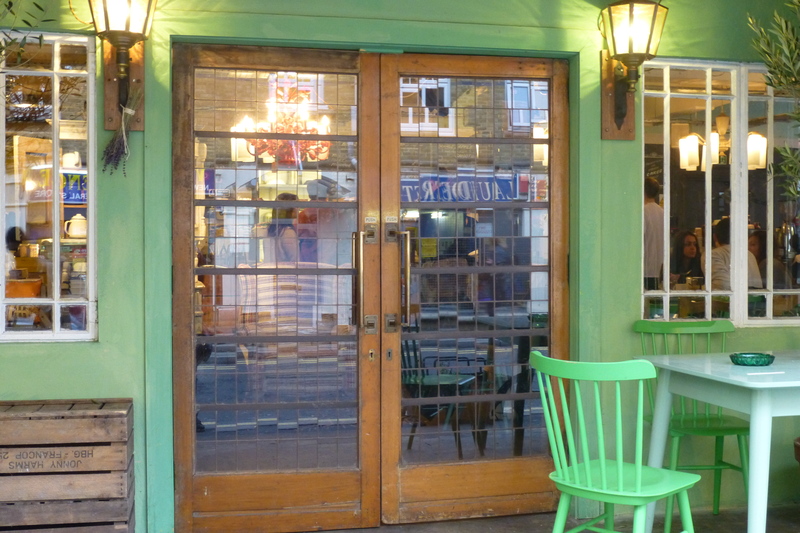 I didn’t take any pics of the cafe because it was full and it didn’t feel right pointing my camera at strangers. 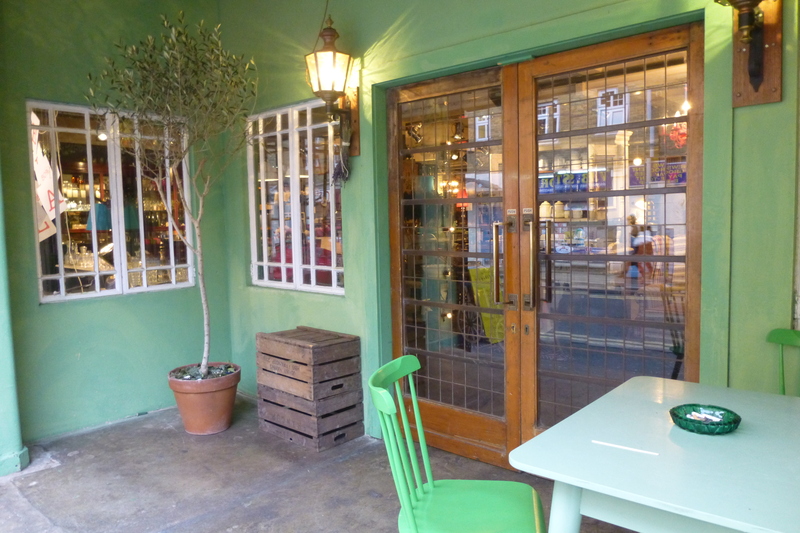 It’s a very large space and about three quarters is the shop. 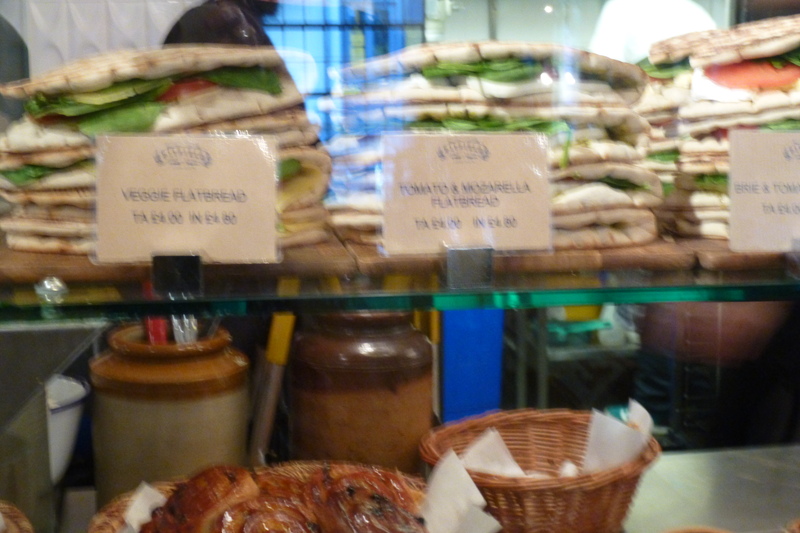 Blury pic of a bit of the food counter. 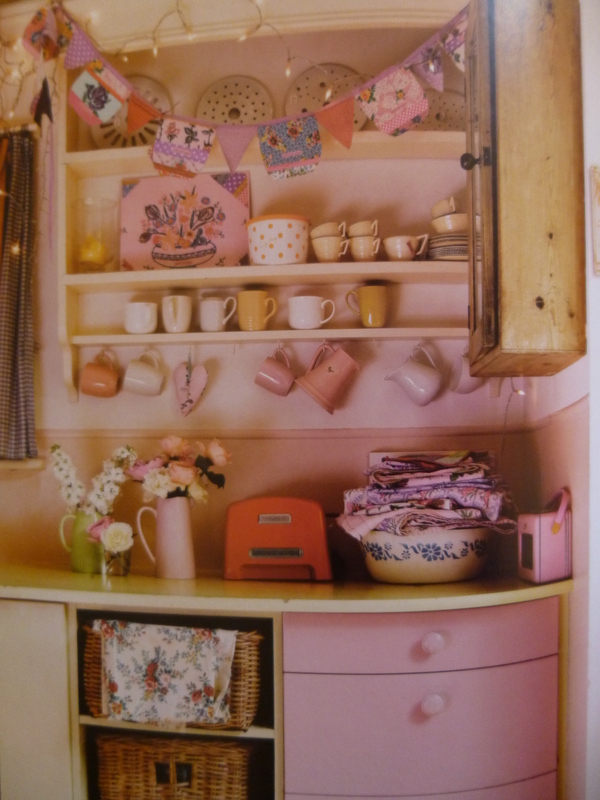 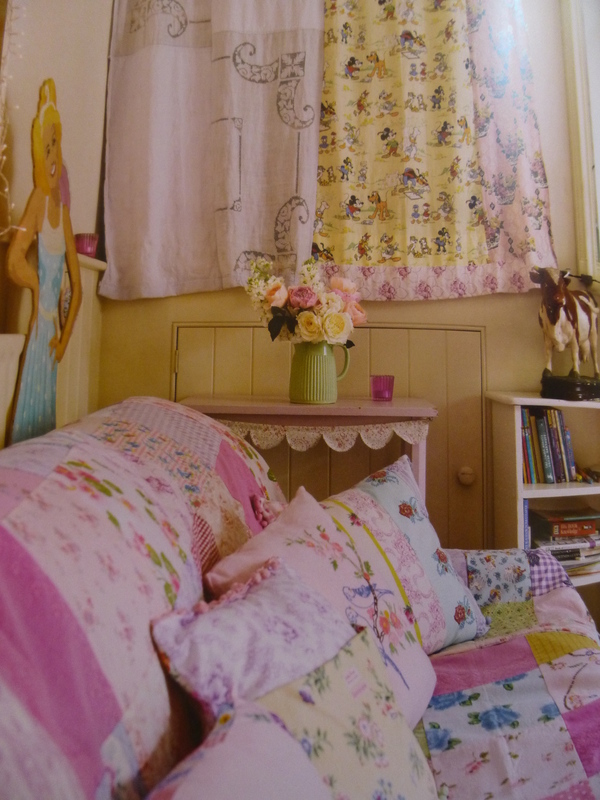 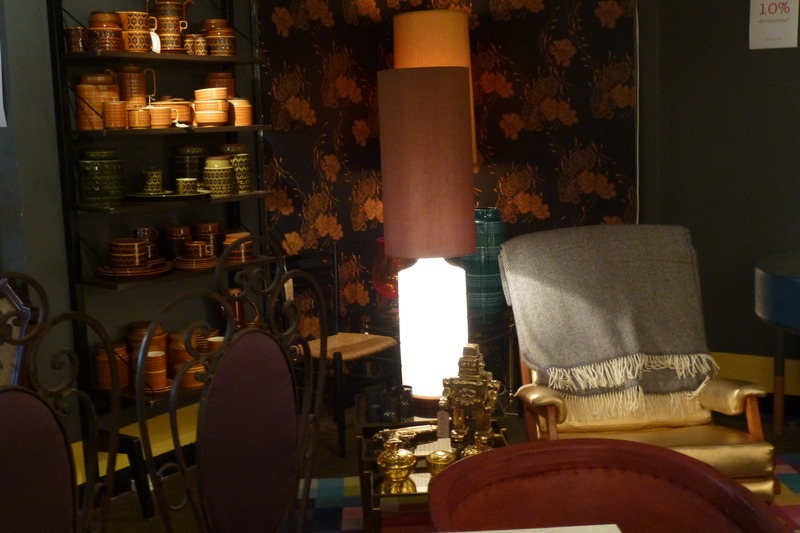 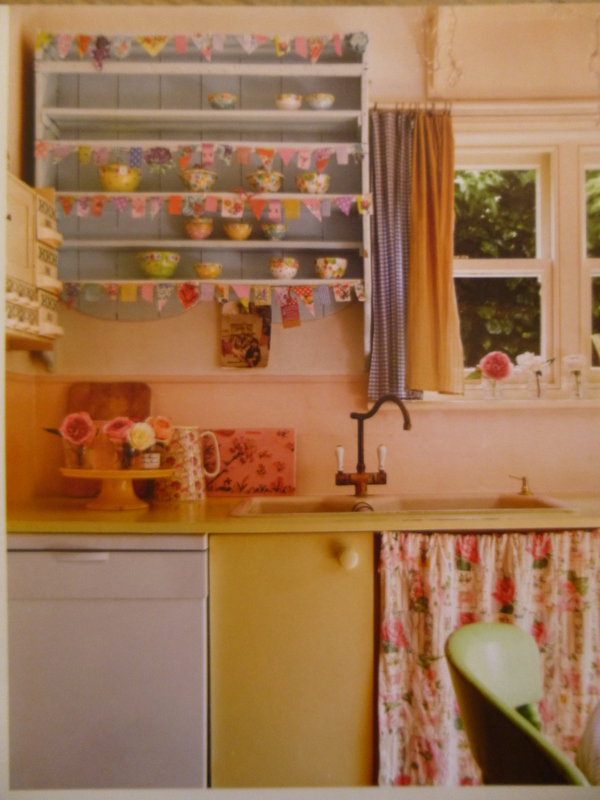 Cosy corner and lots of fifties crockery exactly the same as my grandma used to have. 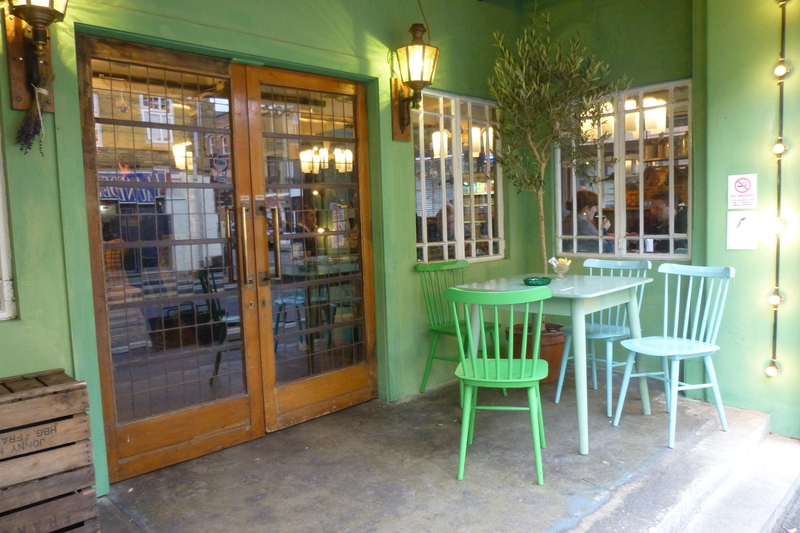 The waitresses were very friendly and actually wiped the crumbs from the tables into their hands and not onto the floor like some places (drives me insane). 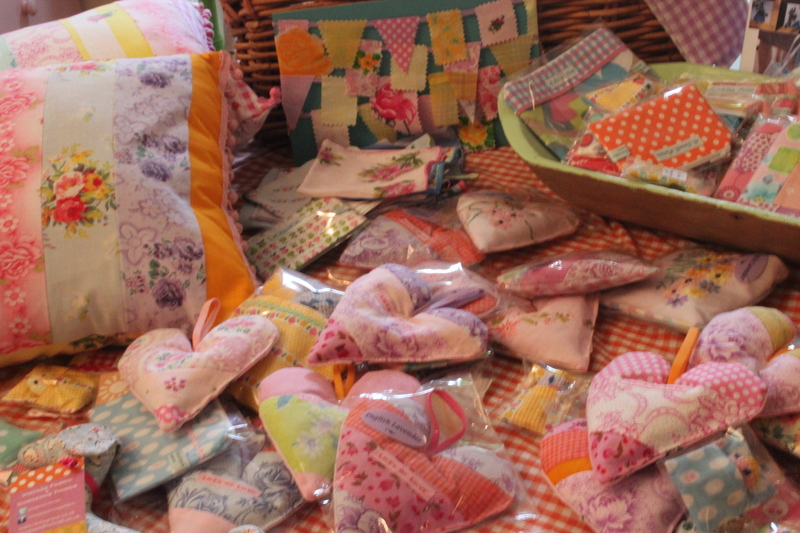 cushions, lavender hearts, pin cushion hearts, mini bunting, purses. 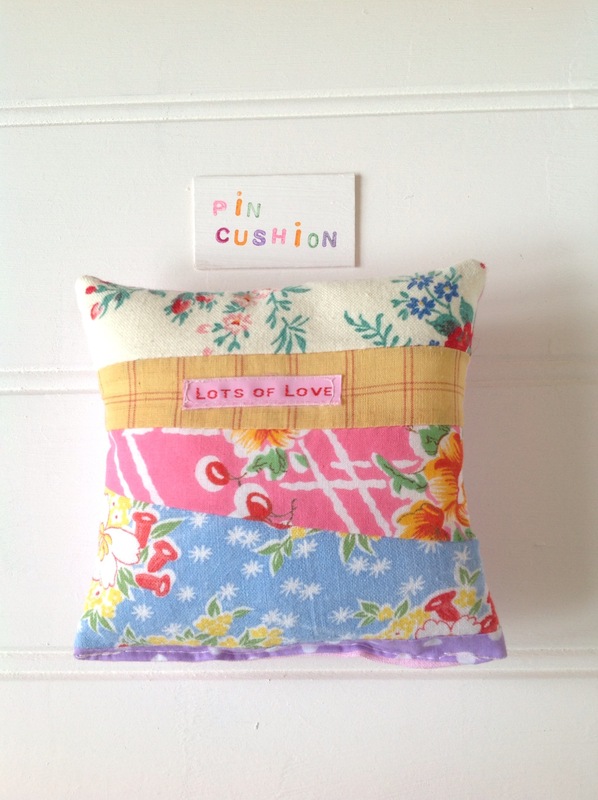 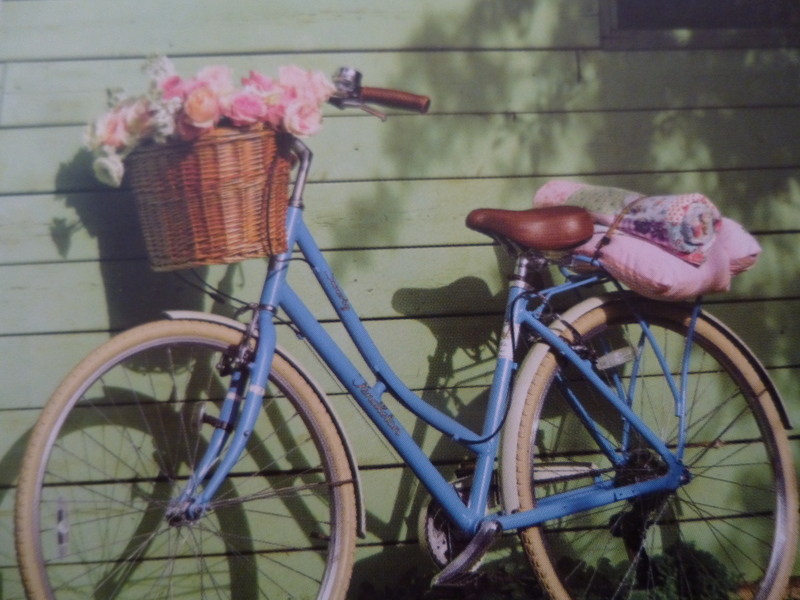 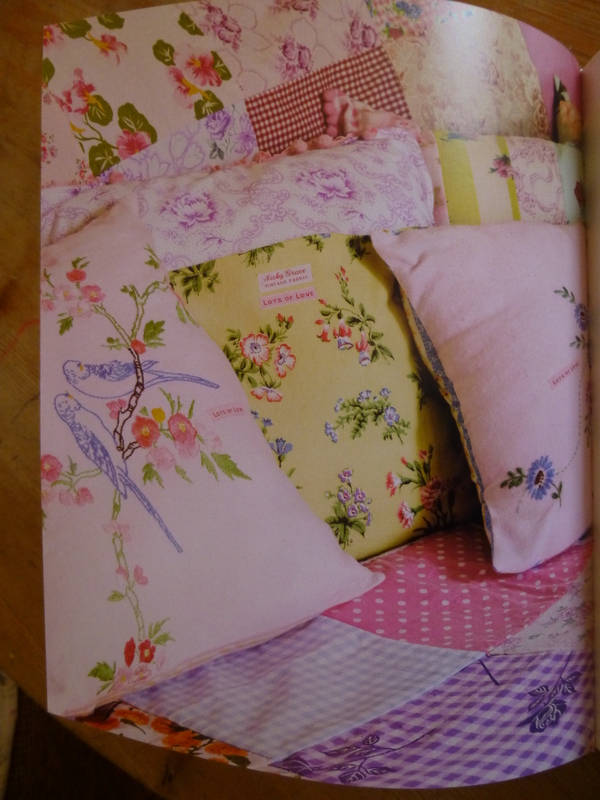 All made from the most beautiful vintage fabric. 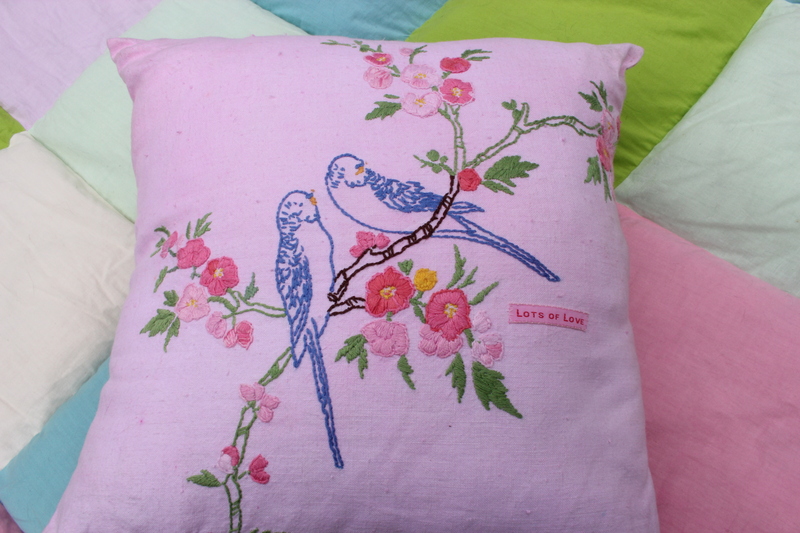 A pair of sweet little vintage budgies.